Presentation problems? Do you encounter situations like you cannot easily connect to the projectors because of wireless compatibility? You got a Tablet or a Laptop with a presentation on it, but you forgot your wired cable connector to connect on the projects unit, that’s become a hassle right? 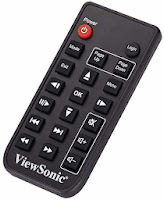 ViewSonic answers the needs of wireless connectivity to your wireless devices to instantly connect it to projectors or huge screen displays, the ViewSonic ViewSync WPG-370 that is a sure problem solver (No wires, No cables, Complete Connectivity). 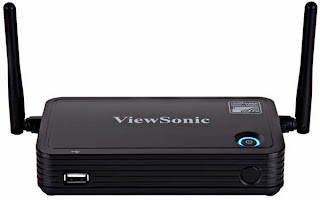 The ViewSonic ViewSync WPG-370 delivers the ultimate in wireless sharing, flexibility and connectivity to your projectors and displays. Ideal for enterprise, SMB, and education environments as well as AV installers, the WPG-370 provides advanced universal wireless connectivity for any new or existing projector, monitor, TV, or large-format display. Certified with Intel WiDi, the WPG-370 offers 1080p wireless connectivity – allowing users to deliver HD content from a WiDi laptop to a projector or display. The WPG-370 gateway has multiple connectivity options, such as HDMI-out and VGA-out, for connecting to a projector or display. The WPG-370 offers a user-friendly PC-less media streaming feature that works directly from a USB thumb drive without the need for a PC. 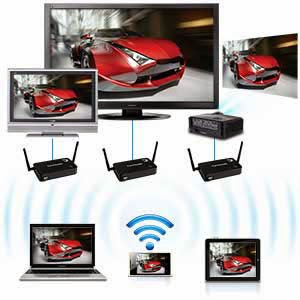 In addition, the WPG-370 is Wi-Fi Miracast ready and works with a mobile app that enables content streaming from smart phones and tablets directly to the gateway. With 802.11a/b/g/n and WPA2/WPA encryption, the secure WPG-370 is designed with business people in mind. The WPG-370 is the perfect wireless presentation solution for projectors or displays. *Disclosure:An important note, we are just sharing this information to the public, provided by our source (Image Media Phils). ViewSonic (ViewSync WPG-370) Info / Logos / Photos / Images has respective copyrights. is this works for all projectors? is there any compatibility limits? i hope you kindly answer it. works great on iOS (iPad), i already tried it for my presentation. works on almost every devices.